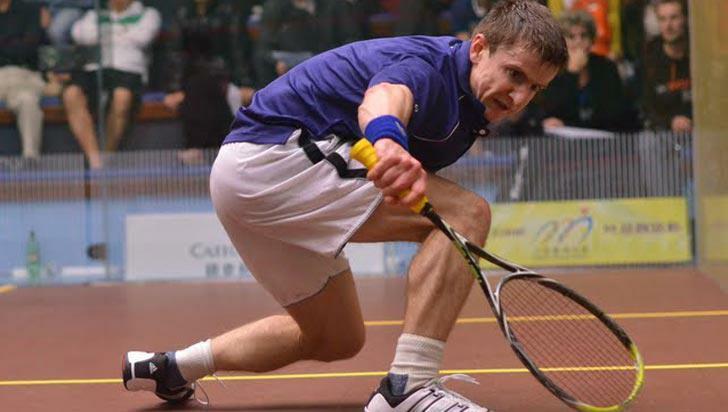 Alan Clyne was runner-up to Alister Walker in the 2012 PSA $25K Irish Open this weekend. The Scottish No.1 (seen left with his Harrow Vapor racket) beat the No.2 seed Boran Golan to get into Saturday’s final against the World No. 18. The tough semi-final that lasted almost 2 hours, must have taken it out of Alan as he lost the final 11-4 11-6 9-11 11-3 in 54 mins.